I took this in Barcelona in 2007. It’s on the top of La Pedrera / Casa Milà, created by the architect Antoni Gaudí. I’m not much of an architecture buff, but I love Gaudí. I think because his buildings read more to me like enormous sculptures. They are functional, but they also have grace. Using stone, ceramics, and iron, he creates fluidity out of things that are not essentially fluid. Reminds me that those confounding life or work obstacles might not be quite so immovable as I thought. It’s just a matter of re-imagining. 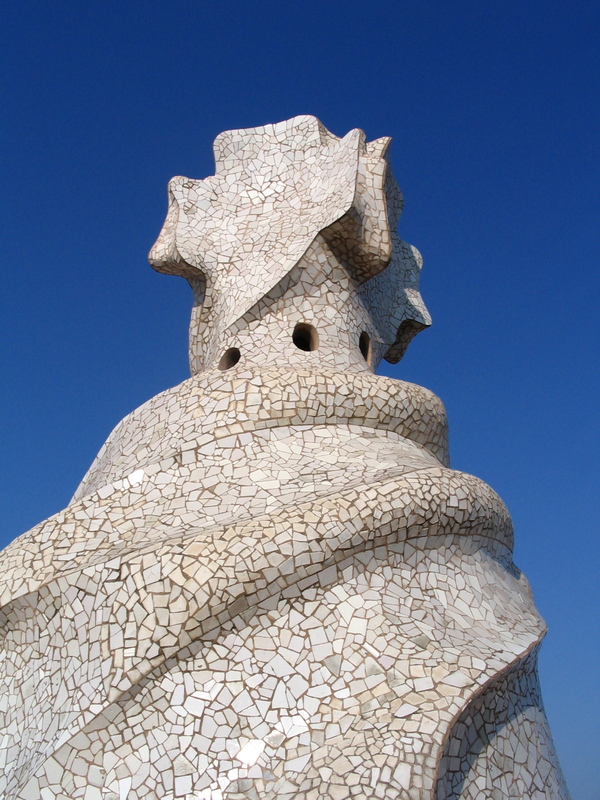 If Gaudí can turn a pile of hard rocks into this graceful example of order and utility, then surely that pile of paper, unruly cupboard, or unhelpful work routine can be transformed as well. What is one thing in your life that seems completely immovable? Can you look at it again and find some fluidity? Let me know in the comments below!